Earthquakes have helped shape the history of many Latin American nations. The effects of floods, droughts, hurricanes, and earthquakes and tsunamis have destroyed peoples' lives and their built environments, and changed land forms, such as mountains, rivers, forests, and canyons. 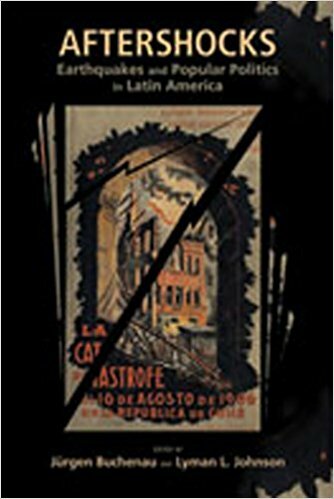 This collection of essays focuses on earthquakes in Latin America since the mid-nineteenth century. Often interpreted as evidence of God's wrath, internalized as punishment for sins, and serving as detonators of revolutions, earthquakes have shined an unforgiving light on political corruption and provided new opportunities to previously disadvantaged groups. These analyses of earthquakes reveal the human role in shaping interactions with our environment. Jírgen Buchenau is associate professor of history at the University of North Carolina, Charlotte. He is the author of In the Shadow of the Giant: The Making of Mexico's Central America Policy, 1876-1930 and coeditor of Governors in the Mexican Revolution, 1910-1952: Portraits in Conflict, Corruption, and Courage.